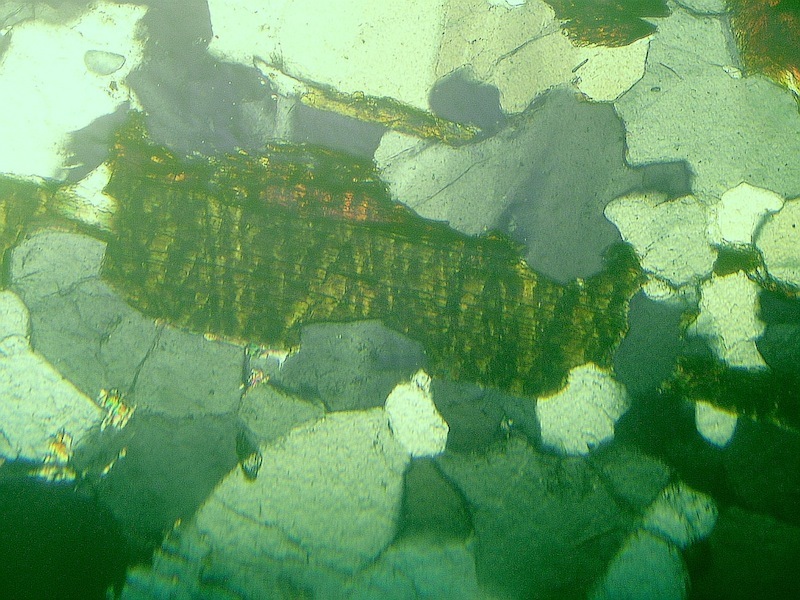 Quartz grains in mica gneiss from the Chiemgau impact Tüttensee ejecta layer – full of planar deformation features (PDFs). Two sets of crossing kink bands in mica. Shock effect from the Chiemgau impact Tüttensee ejecta layer. Numerous excavation pits have been performed in the surroundings of Lake Tüttensee that is proposed to have formed as a meteorite crater in the Chiemgau impact event. The excavation pits have revealed the existence of a more or less continuous ejecta blanket around the lake, and the peculiarities of the layer have already been described:http://www.chiemgau-impakt.de/ATT00007.pdf, http://www.chiemgau-impakt.de/Seiten%201-10.pdf (part 1) and http://www.chiemgau-impakt.de/Seiten%2011-26.pdf (part 2). Now, samples (from crystalline and sedimentary Alpine cobbles) were selectively taken from this ejecta layer in order to systematically analyze them for shock effects, for the time being under the optical microscope only. The study of thin sections from 31 rock samples taken from 7 different excavations establishes a rich inventory of mineral deformations that with reasonable certainty or with great likeliness have originated from shock load. 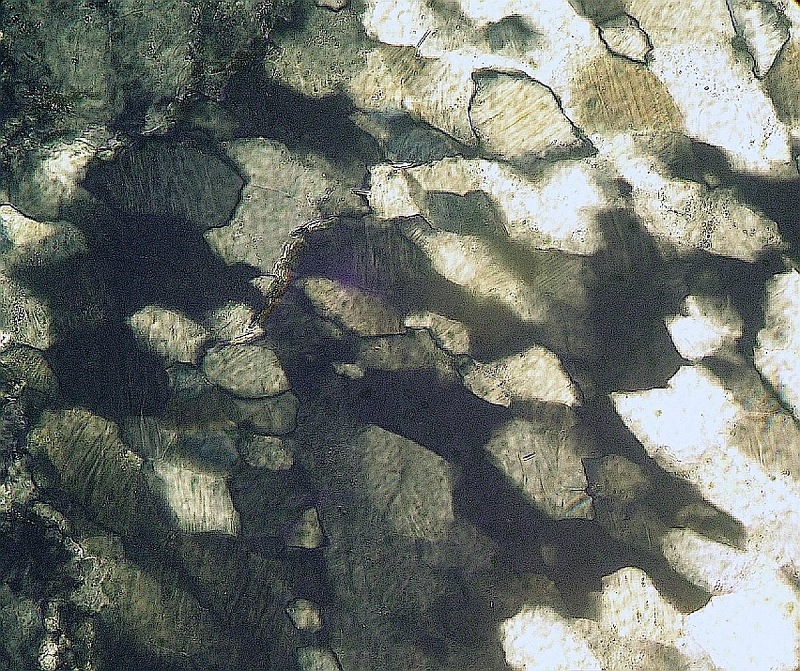 The photomicrographs (crossed polarizers) show planar deformation features (PDFs) in quartz from a mica quartzite (upper) and two sets of extremely closely spaced kink bands in biotite from a gneiss (lower). A more comprehensive report including 17 photomicrographs (in German with English abstract and figure captions) may be clicked HERE.